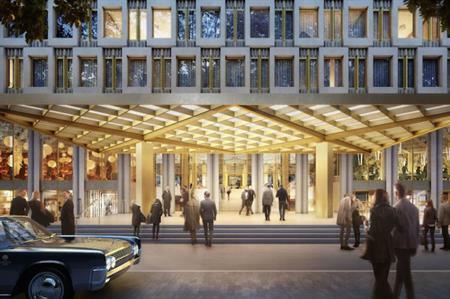 The US embassy in Mayfair's Grosvenor Square is to undergo a £1bn conversion into a luxury hotel. The grade II-listed building will be transformed into a 137-room, five-star hotel, according to plans that will be submitted to Westminster council in May. The hotel will also feature a ballroom with space for 1,000 delegates, a spa, six high-end shops and five restaurants. Developer Qatari Diar, controlled by the Qatari Investment Authority sovereign wealth fund, has appointed British architect Sir David Chipperfield to draw up redevelopment plans, with a public exhibition on the scheme running from 11-16 April at 24 Grosvenor Hill. The development comes after plans to move the US embassy to a new home in Nine Elms next year.